I was never big on Valentine’s Day until I had kids. And now I get into the holiday spirit by baking and crafting with them. While store-bought V-Day cards are great for the masses, I find that DIY Valentine’s Day cards and decor are much more meaningful. My four-year-old lives for our quiet afternoon crafting time, so I figured we’d capitalize on it to by making some easy DIY “stained glass” valentines this year. As a rule, I go for less mess and less stress when crafting, so the fewer the materials and easier it is to do, the better! That’s why this “stained glass” craft is one of my favorites. 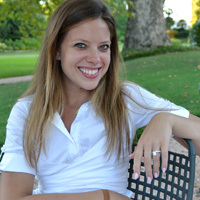 This craft is versatile because you can change up the colors and shapes according to what theme you want to represent. 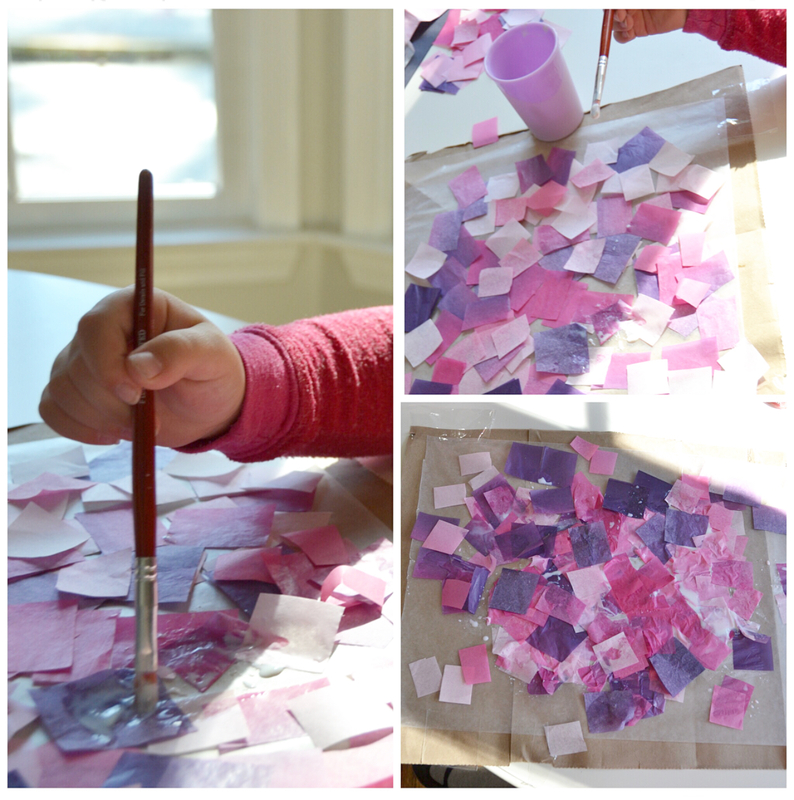 But the best part about this DIY valentine craft is the a-ha moment at the end, though: taping it up to a window (or backing it with white paper if no window is accessible) makes the colors pop. 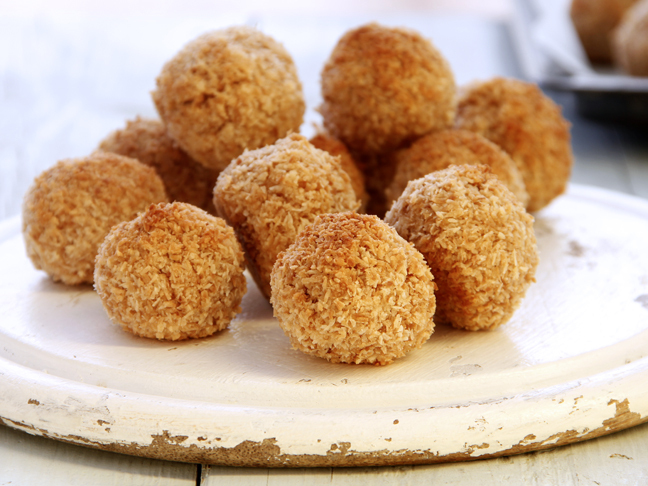 It’s like a little reward for eager crafters. My daughter never tires of that moment! 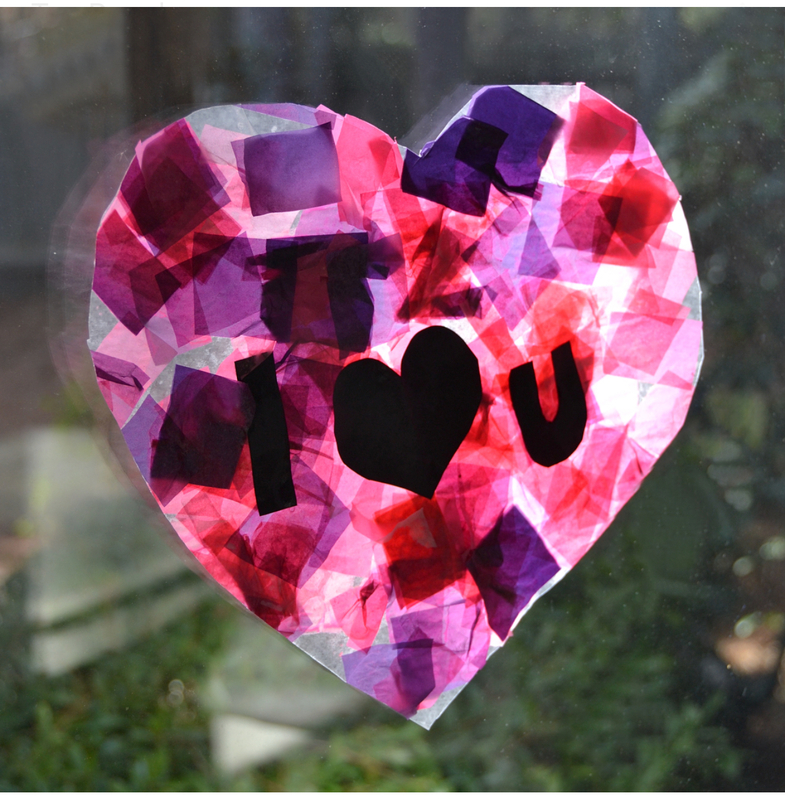 Here’s how to make your own “stained glass” DIY valentines. 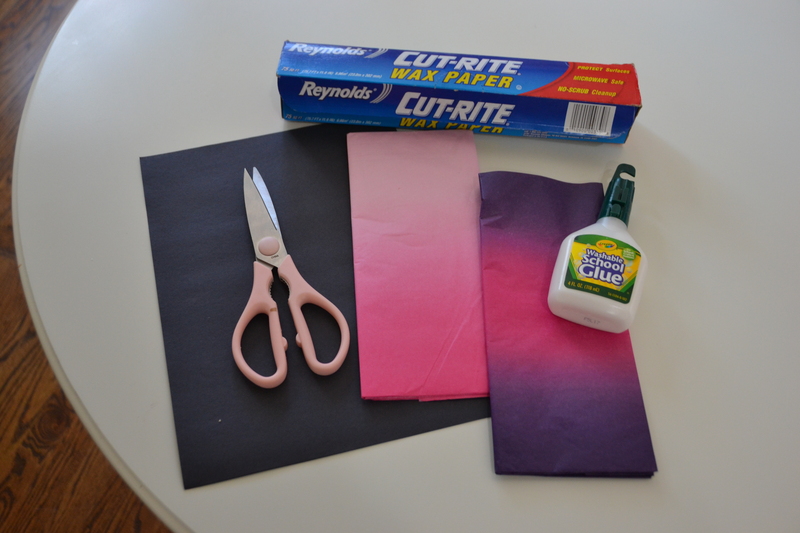 Step One: Set up a “work space” on a crafting countertop or over newsprint. Tape in place and then lay down wax paper. 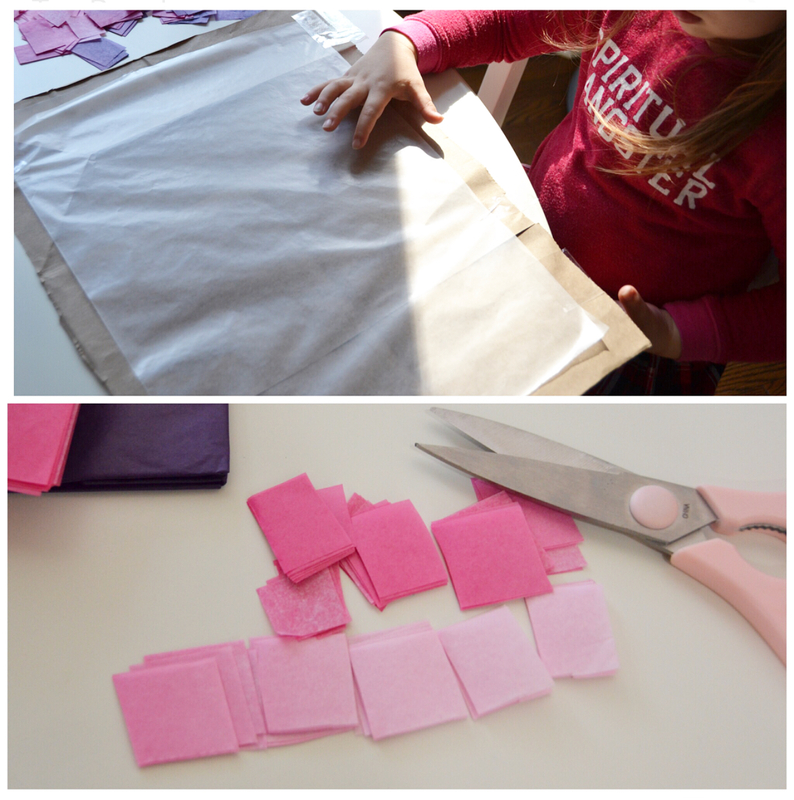 Step Two: Cut or shred tissue paper into squares or shapes of your choice. Kids can have fun making stars, hearts, or other funky shapes. Or you can keep it simple (like I did) by cutting the squares out ahead. Step Three: Let the kids go crazy laying their tissue shapes all over the wax paper, while you whisk two parts glue to one part water in a cup to create a smooth paste. Step Four: When they’re satisfied with their tissue setup, guide them in “painting” the tissue paper with the glue & water mix. If they have trouble coating the tissue, use a sponge or rubber spatula to help them even out the application. When all tissue is coated in the mixture, leave project to dry. 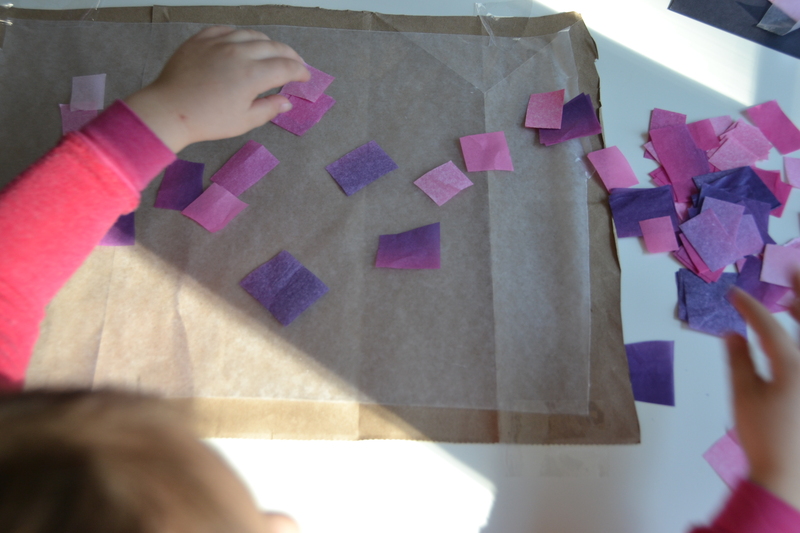 Step Five: If you’re using construction paper to add shapes or phrases to the finished product, cut them out and affix while glue is still dry. This craft is really pretty even without them, but we spelled out I <3 U for a pop. Step Six: When the entire project is dry (ours took overnight, but we were pretty liberal with the glue! 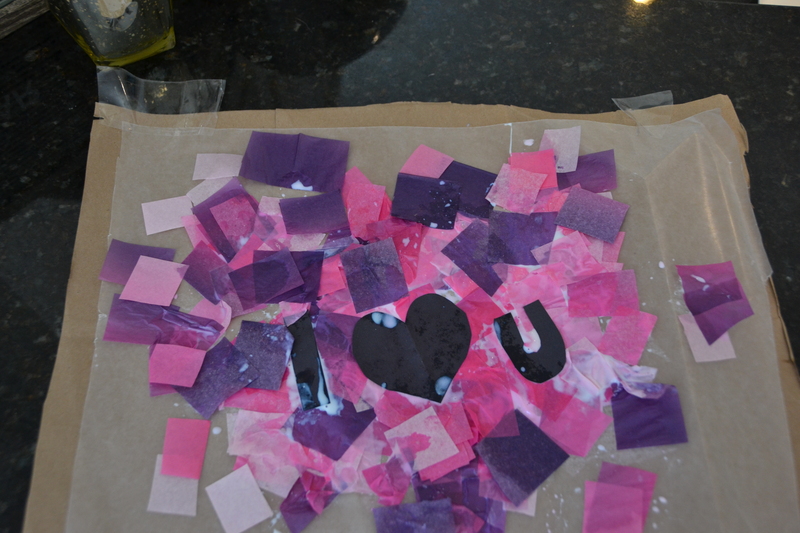 ), cut the wax paper into a heart. You can also punch a hole in the top and tie with string for easy hanging; we chose to just tape ours straight up on the window.